I did find this book to work well and meet all my requirements for preparing for the competitive exam. Looking for different titles to prepare me for the examination, this book did really come as a surprise. Given its low price, the contents have been very specific and well managed. It matches my requirements perfectly. Based on my personal experience, I can state that this is the book you should have for preparing for the tough, competitive exam. I would really like to thank the author for publishing such a good book. It has been properly compiled and has helped me immensely to prepare adequately for the exam. Now, I feel much confident. It is a terrific book. Actually, in my opinion, I found this book to be interesting and enticing. It has helped to increase my knowledge. The book that I received in parcel, was in good shape. This is because of the excellent packing job carried out by the publishers. 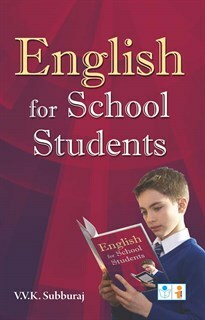 The author has written this book keeping in mind the readers requirements. This book looks much better in flesh than its picture. Commendable. On an average, I find this book to be satisfactory and fulfilling my needs. One can purchase it easily through this portal.